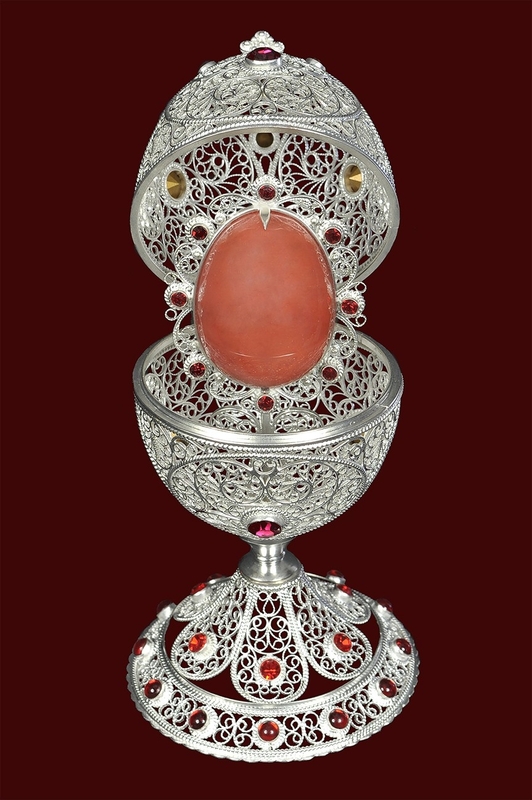 Filigree Paschal egg no.3 - Istok Church Supplies Corp. 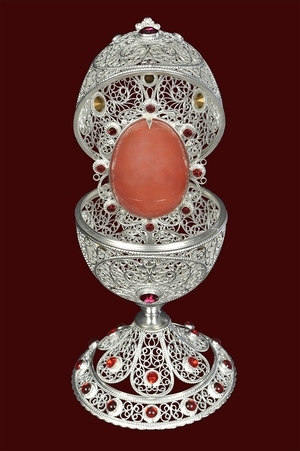 Traditional hanging oil vigil lamp. Copper, silver-gilding, natural stone. Size: 2.8''x6.9'' (72x175 mm).